This entry was posted in Click here for Fabulous Food Posts and tagged Desserts, egg whites, Eggs, Frugal Hausfrau, meringue. Bookmark the permalink. 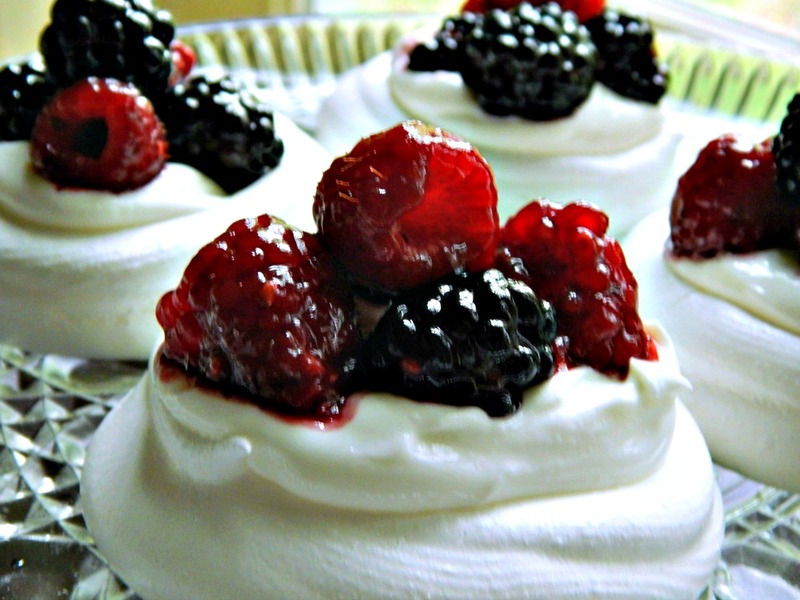 Someday, when I can muster enough patience, I’ll give pavlovas a shot. I love meringue desserts! I am a huge meringue fan, so looking forward to going through all these recipes. I have a feeling I am going to be trying out many many of these amazing recipes you have posted these last several days ! I have bookmarked them all. This will be like going through an entire recipe book, I can’t wait ! 🙂 Thanks Mollie. Hi Lynne, sorry for the late reply! And thanks for the lovely compliments! It’s a good idea to group the desserts. We can get a fair idea of what’s missing. Would you believe I can’t every get anyone to agree to eat floating islands? I have this vision in my mind of this big glass dish of my stepmom’s filled with custard and the islands floating on top and then to top it all off, strands of hardened caramel drizzled all over it. But no takers. Sigh. lol, well wikipedia has it but spelled it wrong (imho) and I guess I just thought being from Canada you might share some of the same sayings, but then I think it’s more a Norwegian/Swedish thing. My little area of Ontario is probably more American than Canadian as we have a lot of visitors from across the border and the major US stations have stronger signals than our Canadian ones. Oh, how funny! But I’ve noticed lately that a lot of the shows I’ve seen have been Canadian!